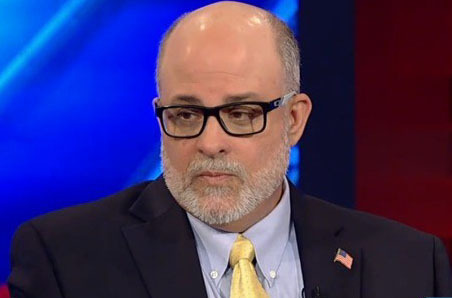 The FISA memo is a “big deal” because it revealed Hillary Clinton “paid for” a FISA warrant and the “senior level” of the FBI attempted to interfere in the 2016 presidential election, radio host Mark Levin said. “Now we know why [Adam] Schiff and the rest of them are fighting so hard. Now we know why the left-wing praetorian guard Democrat media are fighting so hard, trashing [Devin] Nunes, me, you, and others. Let’s walk through this quickly. Who are they trying to protect? Hillary Clinton. Sean, who else are they trying to protect? Barack Obama. His name never comes up. “So, let me help everybody with this. Loretta Lynch knew about these FISA warrants. [Sally] Yates, the deputy attorney general, Rod Rosenstein, now the deputy attorney general. He knew. FBI Director [James] Comey, Deputy Director [Andrew] McCabe, [Peter] Strzok, the head of counterintelligence, [Lisa] Page — his girlfriend. “Who else would know these FISA applications and warrants? Let me tell you a little secret. These are counterintelligence efforts. You have to assume the National Security Council and the White House knew. Why would the FBI, Justice Department, keep that from the National Security Director in the White House? Why would they keep it from the deputy director in the White House? “So why would it be left out of the president’s daily intelligence briefing? Which I mentioned in March Congress also needs to get a hold of. I am telling you, we’re looking at the FBI, we’re looking at the Department of Justice, we are not looking at all at the White House. Hillary Clinton paid for a warrant. That’s the easiest way we can put it. Hillary Clinton colluded with the Russians. But it appears the FBI at the senior-most levels colluded with the Russians, too. Whether it was witting or unwitting, it doesn’t matter. That’s a fact. “So, the senior level of the FBI tried to interfere with this election as well. This is why it’s such a big deal. Now, I know Republicans are bending over backwards saying this has nothing to do with Mueller. This has everything to do with Mueller. “It has everything to do with Mueller because it transitions from the counterintelligence investigation into a criminal investigation after Comey, of all things, confesses of all things to being a leaker. And Mueller – Mueller is the former FBI director. Those are his people. That is his environment. He’s not out there as some independent force. “But I want to get back to Barack Obama. It’s his FBI, his Department of Justice, his State Department, his candidate. I cannot believe for a minute that the National Security Council didn’t know about this. “And to show you how elaborate this is, now that more information is coming out, we haven’t even gotten to the incidental collection of intelligence on people, including, by the way, [Jeff] Sessions when he met with and spoke with the Russian ambassador, Michael Flynn when he spoke to the Russian ambassador, the unmasking and leaking of his name, the record number of unmasking of American citizens in the Trump world and so forth and so on.